We are saying good-bye to the dark, gray skies that have been hanging over for the last couple of weeks. Although, it feels like months. It is so hard to get moving early in the morning when the dark clouds are hanging over and it is damp and cool outside. It’s so much easier to sit by the warm fire (yes, we have been building fires in the mornings) a little bit longer instead of having to go out to do chores. Chores do get done reluctantly, then everyone hurries by inside to sit by the fire or wrap up in a blanket instead of staying outside to get rest of the days work done. 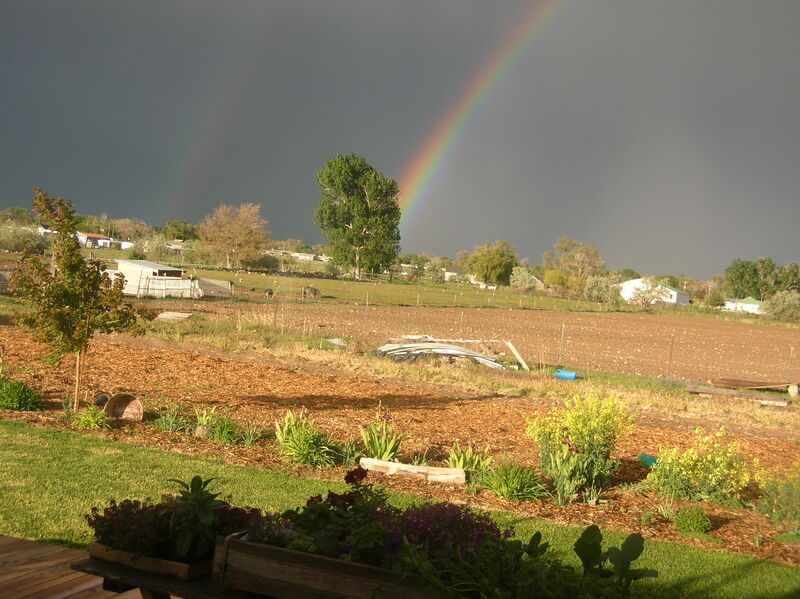 Or the dark clouds roll in during the middle of the day with the wind, rain or hail. Then we end up having to stop what we are doing to protect ourselves and have to leave our work unfinished. There is nothing more frustrating than having to leave a project only partially done. We have lots of planting still to do; bits and pieces of it are getting done between rain storms. Who would want to stay out in the gray, dreary, wet weather to kneel in the mud to put down weed barrier or plant anything? We are ready for summer and all that it brings. Bring on the sun, the heat, the work, long days, sounds and smells of summer nights, BBQs, firepits, fresh fruits, berries and veggies and all the fun of summer.